You’d be surprised. In 2010, the #1 hazard about being a man of a certain age spending too much time working from bed consuming the internet is NOT poor vision, or bedsores, or even the anxiety that comes with acute social isolation. Rather it is the having of a very jacked up neck that can barely withstand a facewash without aching and most certainly does NOT allow you to whip your hair when people at parties put on “Whip Your Hair,” as people should be doing all the times at all the parties. It’s a total modern day travesty, I’m sure. But having this self-imposed ailment of spinal alignment this year is good for at least one thing, and that is to provide a much enhanced appreciation of Willow Smith’s 9 year old swag, and deep envy for how freely those that were born during George W. Bush’s presidency can crank around their craniums with such reckless abandon during Obama’s. Oh to be young. And gifted. And have movie star parents. And be on Jay-Z’s label. And be a lightning rod for debates on proper parenting vis a vis celebrity, talent, and exploitation. And 9. 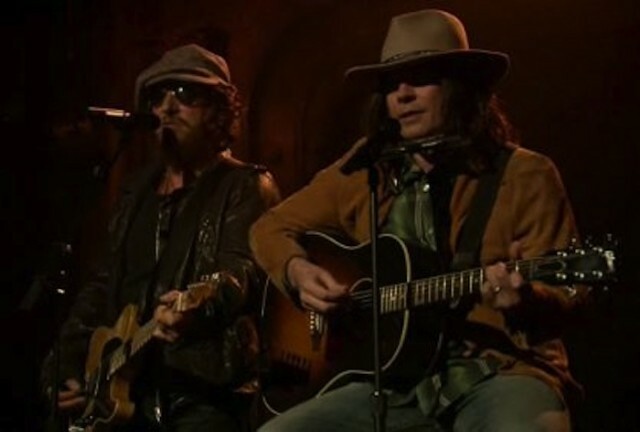 While Willow’s version is irreplaceable, the rendition on Late Night last night was one that even this neck can enjoy: Jimmy Fallon indulging his recurring meme-recreation as Neil Young, joined this time by a man named Bruce Springsteen. The Boss and the spirit of Neil Young (who just turned 65 last week, btw), two guys who know from not being 9 years old, turning Willow’s internet banger into a neck-friendly Americana classic. I gently sway my head side-to-side. Just making sure we’re all on board with the original.